Radiance hospitals revolutionized the way of treatment, training and research of Minimal Access Surgery. Laparoscopic is now more standardized and accepted, but at the same time is becoming more challenging too. The days gone where surgeons used to experiment and learn themselves. Laparoscopic “Hands On” courses are primarily intended for surgeons and gynecologists who wish to acquire in depth basic practical knowledge and advanced structured training of laparoscopic and robotic surgery.There is ample opportunity to learn laparoscopic surgeries first in end to trainer, followed by exposure in Operation theatre on live cases. This course is scientifically designed according to International protocol of laparoscopic education proven to learnMinimalAccessSurgery. At the end of program, surgeons / onco surgeons and gynecologists should be competent to carry out laparoscopic surgeries themselves on their patients. 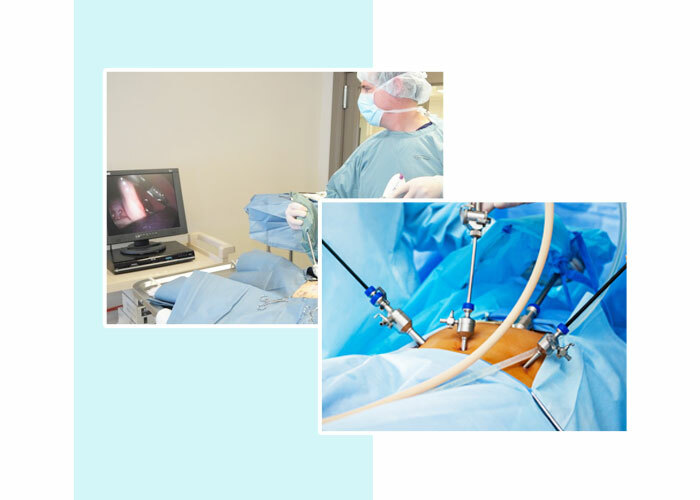 Dr.Vyas has vast experience of teaching laparoscopic and da Vinci robotic surgery. Highly experienced with around 17 years of experience of more than 16000 minimal access GI surgeries across diverse facets such as Gastric Sleeve, Splenectomy, Hysterectomy,Nephrectomy, Bariatric surgery, Adrenalectomy, Hemicolectomies, Achalasia cardia, Choledochoduodenostomy / Jejunostomy, Cholecystectomy / Appendicectomy, Myomectomies and soon..
Have performed more than 1000 obesity surgeries in last 8yrs on patients weighing from 90kgs to 300kgs. The below listed high-end surgery as exclusive minimal access surgeon have been performed. Laparoscopy Program as well as exposure to endoscopic stapling devices ,hand assisted laparoscopic surgery, laparoscopic vascular control techniques in all specialities, laparoscopic bowel division and anastomosis is also covered in the training programme. This course includes a half-day hands-on training in our dry lab, which can be tailored to the surgeon’s particular needs. The programme is best suited for the surgeons, Gynaecologists and Urologists with very limited laparoscopic experience who wishes to start performing a certain laparoscopic procedure and wishes to have an intense individualized training experience.